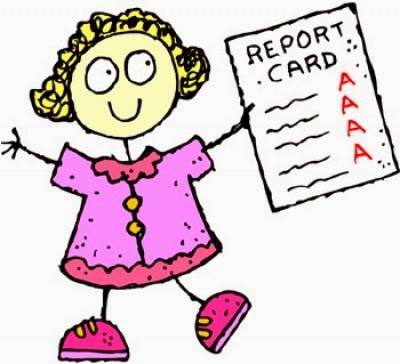 NYC Educator: Paper Report Cards a Thing of the Past? In our school administration decided to stop giving out paper report cards. They say they've received only 5 requests for paper report cards, and that they've printed them. And yet, virtually every teacher I know opposes this. I understand that admin wants to lure parents and students online so they can experience the wonders of the internet, but I'm not at all persuaded this is a good idea. For one thing, I've spent a few days in the auditorium this year, as it's tough to get to the trailers when there's three feet of snow, or a sheet of ice, or whatever lurks out there on harsh winter days. One day, I asked my kids whether or not they'd seen their report cards. I teach two double period classes, so I don't have that many students, but out of my small sample, only one had seen the report card. I showed the grades to every other kid, which is kind of a pain in the neck on Skedula. The geniuses who wrote Skedula have the default report card as the current semester, which is of course blank, so after you find your way to it you have to change not only the marking period, but also the cycle. It's big fun. Now there are people who disagree. They say that a lot of kids don't show their parents report cards anyway, and that those kids still won't show them. That's indisputable. But what about kids who don't even know they're there? What about kids who haven't bothered getting a password, or those who haven't used it in so long they've forgotten what it is? My kids are from other countries, and don't speak English that well. Nonetheless, they're likely as not to know more about technology than I ever will. But do they use it to look up their schoolwork? What about kids with other special needs? I can't speak as expertly on them as I can about my kids, but I wonder how this will affect them. And while there may have been five requests for paper report cards, how many parents didn't make the request? How many parents didn't even know to ask? A lot of my kids have very hard-working parents. To tell the truth, they sometimes work so hard they don't pay nearly enough attention to their kids. Now I know, we had it tough. Our grandparents came here with nothing and raised us to be perfect. They walked 20 miles to school, in the snow, uphill both ways and never complained. They worked 200 hours a week but still had time to come home and read us books. I think we still need to give paper report cards. I think report cards are important. What do you think? Am I wrong? I'd like to know why.